If you were asked to describe the ideal holiday season, chances are you'd include the company of loved ones, good food, fun and relaxation, and maybe an inch or two of snow. But for many of us, the holidays seem to exhaust rather than uplift us. We feel trapped by the shopping, spending, and frenzied preparations. This year, why not increase your personal fulfillment and wrap your holidays more in meaning—and less in stuff? What do you have that you can give (gently loved items, a cooking lesson, an hour of babysitting help a week)? What non-material gift would you really love (museum membership, dance class, help painting a room)? Revolutionize how you give and receive gifts by creating a WishList and GiveList on our “alternative” gift registry, SoKind. Ask your loved ones to join you in skipping the stores (and stress!) this holiday season, and instead agree to give gifts of time and experience. Instead of another scarf, how about giving your best friend a “coupon” for an afternoon of your organizing services? Or give your kids a coupon to stay up an hour past bedtime. Our Challenge Toolkit is full of ideas like these to make your holiday gifting more meaningful this year. Promote the gift-giving tradition of the holiday season while building community—and leave out all the waste and commercialization of conventional shopping. Host an Alternative Gift Fair or Holiday Share Faire to enable your community to give gifts of service or charity, trade secondhand goods, share skills, and more. Our Challenge Toolkit includes resources that walk you through the planning. 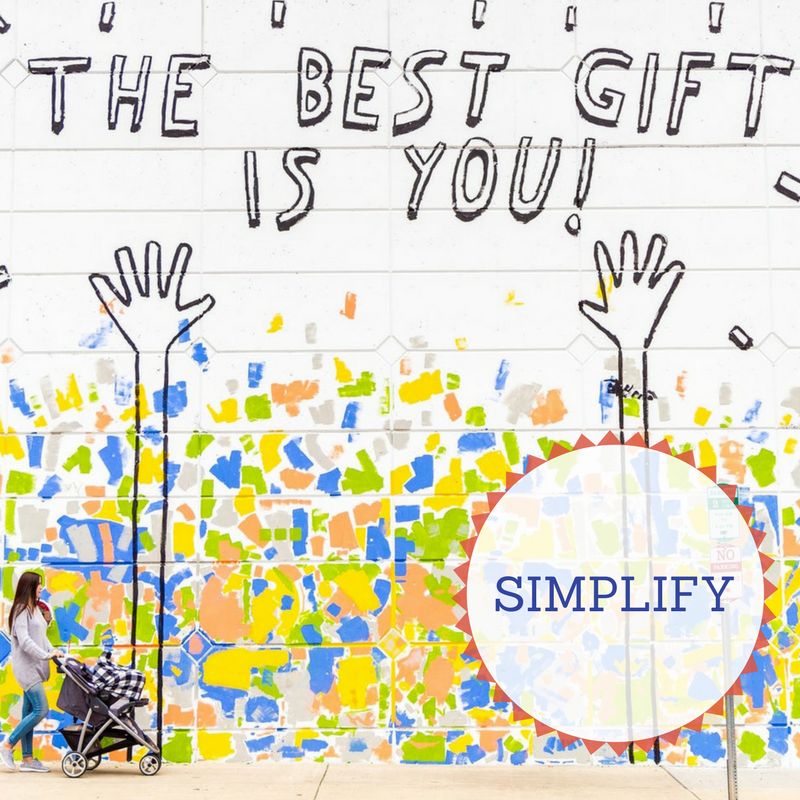 We encourage you to complete the "Simplify Your Holidays" challenge within an eight-week period; however, there may be different timing that works best for you, and that is OK! Please type in your choice(s) in the box below. Once you sign up, we'll send you a short email with everything you need to take action!